Rise of the Tomb Raider is out this year, and we haven’t seen or heard a thing about the title since its controversial reveal last year. The Tomb Raider reboot was a stunning game, with some equally stellar gameplay, so you’d expect Crystal Dynamics to stick to the same formula that worked so well the first time. You’d only be half right. Rise of the Tomb Raider will still feel the same, but Crystal Dynamics is tweaking some of the games smaller mechanics to make them feel natural. Take weapon and item upgrades for example. In Tomb Raider you had to rack up experience and find salvage points to craft new items. That won’t be the same in Rise of the Tomb Raider, with Lara scavenging for specific metals, minerals and animal hides to craft Molotov cocktails, ammo, traps and more. This will go hand in hand with a lot more actual tomb raiding, which Crystal Dynamics felt was too sparse in their previous attempt. Puzzles are also said to be a little trickier and less straight forward, with players required to decipher a lost language in order to get to the really good treasures. 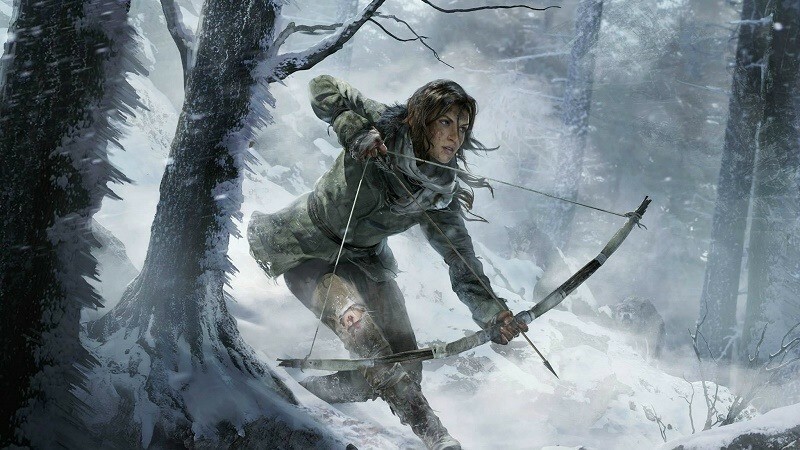 As for setting, the Rise of the Tomb Raider won’t stick to one locale this time around. You’ll be plunged into the harsh wilderness of Siberia, and at least one other major location which Crystal Dynamics isn’t sharing yet. The games dynamic weather system will also have a far greater effect on gameplay, with line of sight and noise affected by snow storms and blinding fog. Lara will also be able to use this to her advantage, as well as hid in bushes, climb trees and swim in order to approach combat situations more quietly. And while Tomb Raider was a origins story for the famed explorer, this sequel will be more about Lara trying to prove that she’s not crazy. Not many people believe her tale of going toe to toe with an immortal being, so in order for her to say “I told you so” she’s out hunting for a fabled invisible city built by the Grand Prince of Vladimir in the 13th century. Jonah Maiava, the faithful cook from the previous title, will join her expedition as well. Almost like a Nathan Drake/ Sully partnership. And if you were hoping for any news on additional platforms, you’re out of luck. Rise of the Tomb Raider is still a timed exclusive for Xbox One and Xbox 360, and we’re likely not going to hear anything further on the matter until the game actually releases. I’m just hoping we get to see the game in action soon. Next article How many copies of GTA V have been sold?